Are you looking for an engaging, relatable speaker to speak to your employees about nutrition, healthy habits or stress management? Interested in learning about other corporate wellness offerings, such as on-site laser nutrition coaching or groups? I bring surprising insights, compassion and humor to my presentations and wellness coaching. 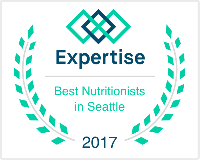 Call me at 206-673-4700 or email mh@mindfulnutritionseattle.com to tell me about your company’s needs or ask me any questions. I’ll present you with a proposal with your unique needs in mind. I look forward to connecting with you!